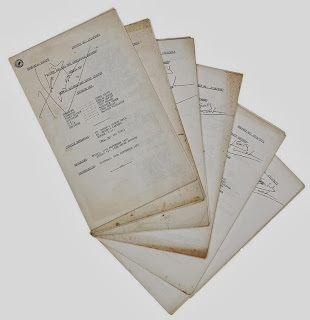 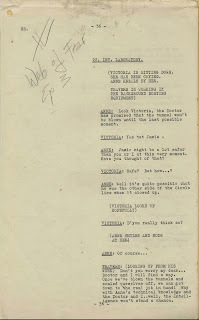 1968 - Three Rehearsal Scripts, from the collection of episode writer Henry Lincoln, mimeographed typed pages, Episodes 1, 2 and 5, with some pencil annotations, 8 x 13 inches (20x33cm). 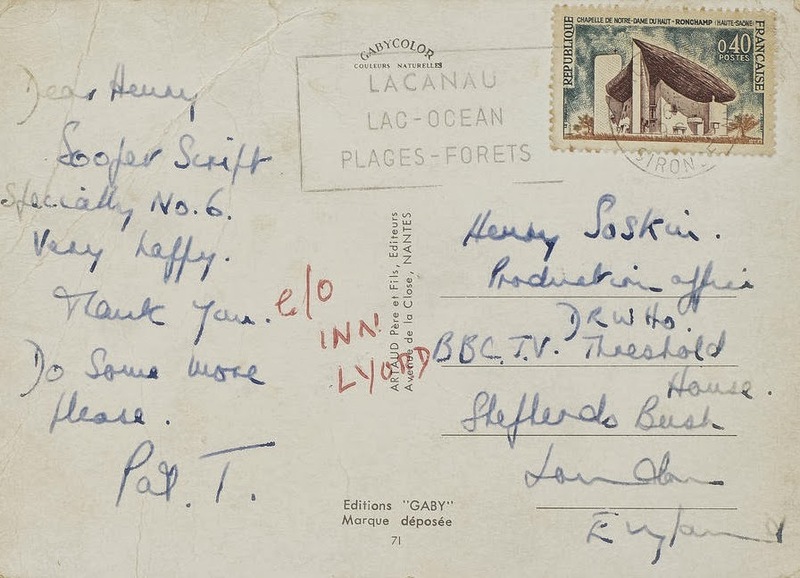 Henry Lincoln (born Henry Soskin) is an English author, famed for his co-author ship of the book 'The Holy Blood and the Holy Grail'. 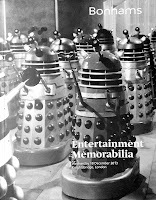 'The Dominators' was broadcast as five episodes during August - September 1968. 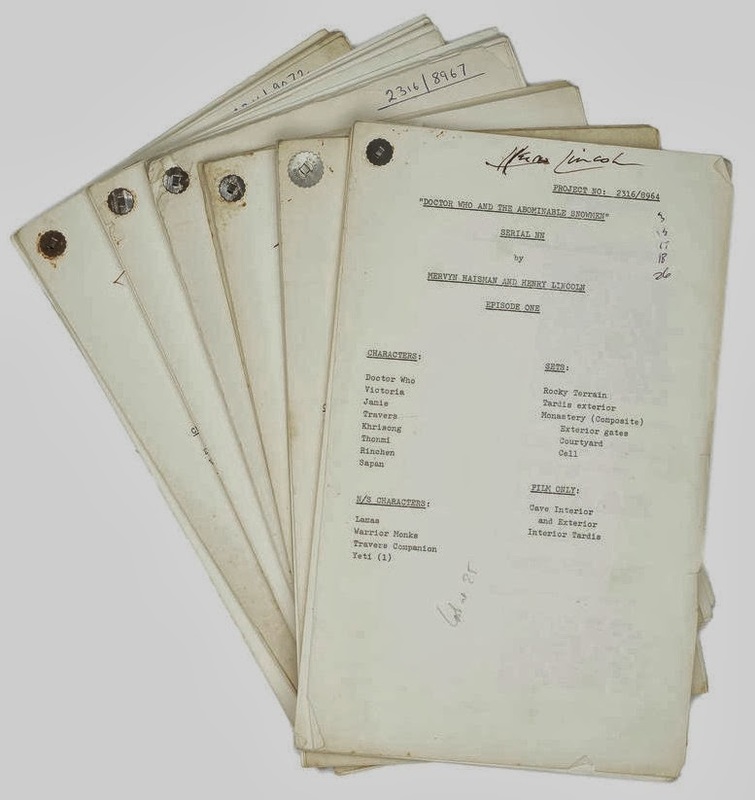 Henry Lincoln and Mervyn Haisman requested their writing credit for this series of episodes to be removed, due to their dissatisfaction with the eventual production, the reduction in the number of episodes (from five to six), the ending being written without consultation and the licensing agreement for the 'Quarks' characters. 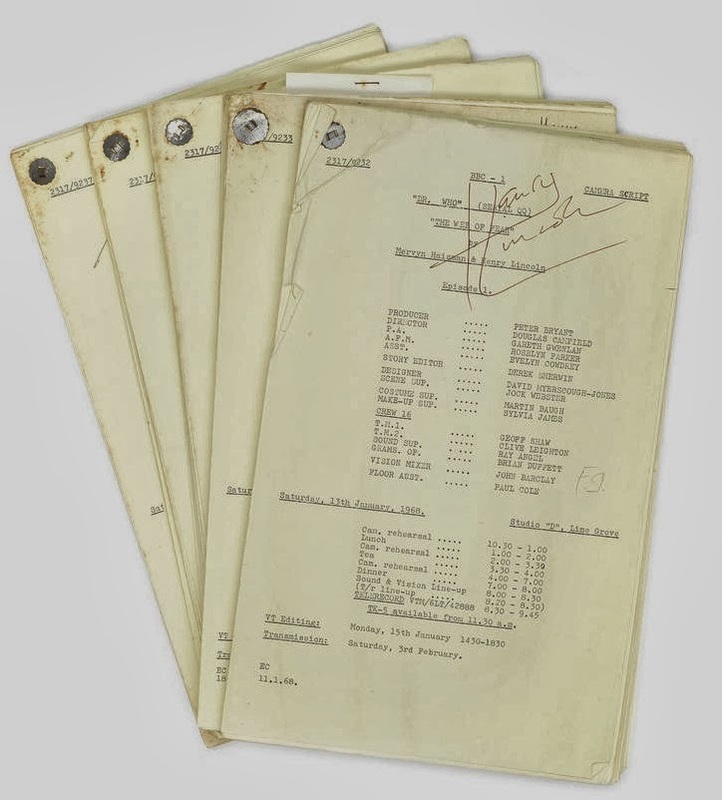 The episode is therefore credited as 'Norman Ashby'. 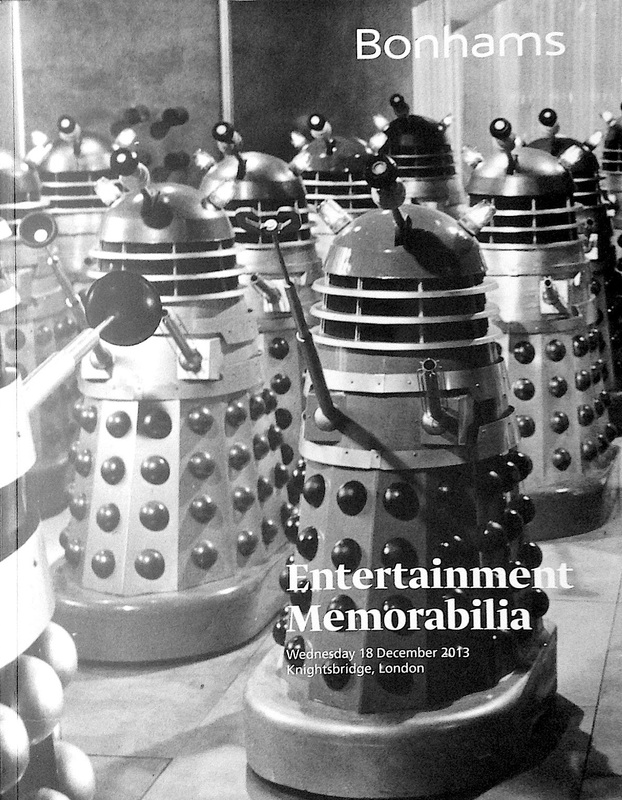 'The Dominators' was the final series of episodes written for Doctor Who by the pair. 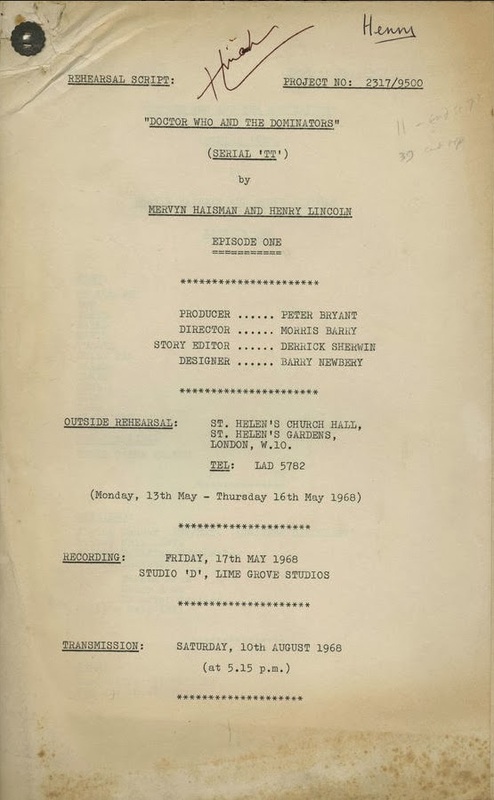 Sequel to 'The Abominable Snowman' written by Henry Lincoln and Mervyn Haisman 'The Web of Fear' featured the return of the character the 'Yeti'. 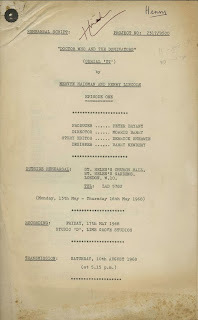 First broadcast in February - March 1968 with the exception of one, all of the episodes in the series were considered lost, until two, four, five and six were rediscovered in Nigeria. 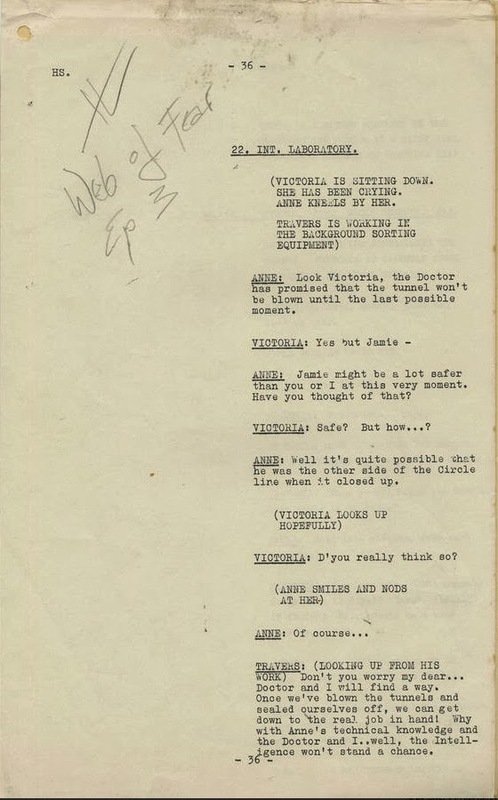 The announcement of this was made in October 2013 and the episodes made available via download. 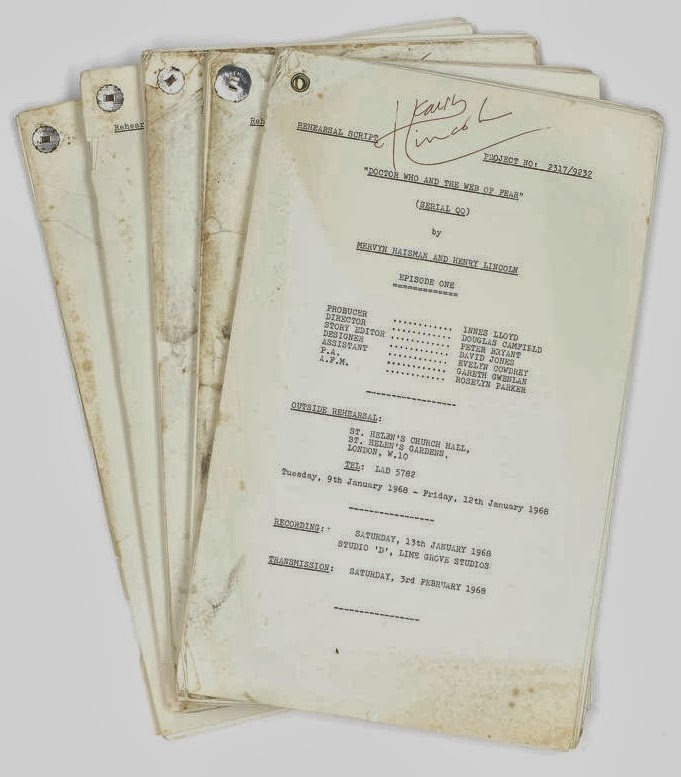 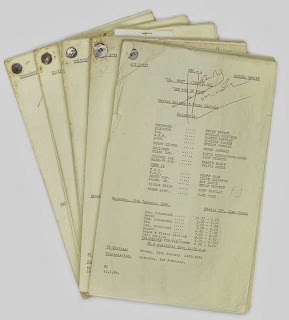 1968 - A set of five Rehearsal Scripts, from the collection of episode writer Henry Lincoln, mimeographed typed scripts, including Episodes 1 - 5, each signed in black ink by the author, each bearing sequential project number 2317/9232 - 2317/9236, 8 x 13 inches (20x33cm). This lot includes the script for the currently missing episode three of the series. 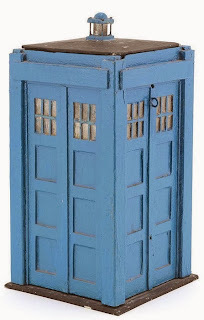 8 x 13 inches (20x33cm). 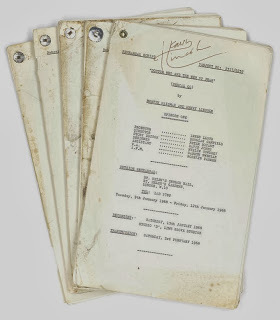 DOCTOR WHO / PATRICK TROUGHTON: DOCTOR WHO AND THE ABOMINABLE SNOWMEN, 1967 - A complete set of six Rehearsal Scripts, from the collection of episode writer Henry Lincoln, each bound mimeographed script, signed to cover in black ink 'Henry Lincoln', with recording and transmission details to front, 8 x 13 inches (20x33cm). 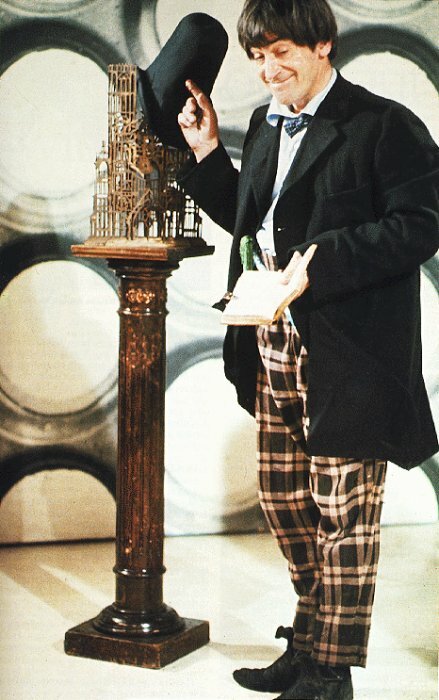 DOCTOR WHO/ PATRICK TROUGHTON - THE WEB OF FEAR - AN ORIGINAL YETI HOMING DEVICE PROP, 1968, the hollow figure of stained mix media resin, on base, together with a reproduction image featuring the piece, height 4¾ inches (11.5cm). 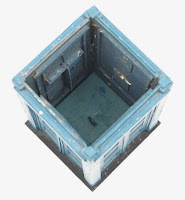 DOCTOR WHO: AN ORIGINAL TARDIS PROP MODEL, circa 1968, of overpainted wooden structure, on stepped base, with miniature light to top, removable lid, with hook to interior, windows and lid painted black, outer case overpainted in non-original blue colour, height 10 inches (25.5cm). 1968, the hollow figure of stained mix media resin, on base screw fitting metal base, removable with internal rod and fittings, height 4¾ inches (11.5cm).